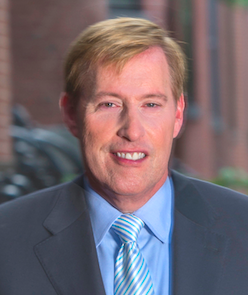 Known for his professionalism and superior marketing and negotiation skills, Paul Whaley has distinguished himself as one of the most successful real estate brokers locally and nationally throughout his more than 25 years in the residential real estate industry. Paul continues to be recognized for his exceptional sales accomplishments; he is the recipient of the Coldwell Banker® International President’s Premier award, an honor he has received every year for the past decade. This award is presented to the top 1 percent of approximately 85,000 sales associates worldwide that work under the Coldwell Banker umbrella. He is also recognized with the Society of Excellence Award, reserved for the top 1.67 percent of sales associates nationwide. Additionally, Paul consistently ranks among the top 25 sales associates out of more than 3,000 agents affiliated with Coldwell Banker Residential Brokerage in New England. He often holds the distinction of being ranked Coldwell Banker’s No. 1 top-performing agent in Boston. His impressive sales accomplishments continue to earn him a spot on other rankings published by third parties, including the Top 250 USA Realtors list published by the Wall Street Journal for 2014, Boston’s Top 10 Real Estate Brokers published by Curbed for 2014, and a regular spot on the BostonTop20 list, which ranks Boston agents by sales volume. Paul has successfully marketed and sold some of the most significant properties in downtown Boston. His dedication and expertise in developing effective pricing strategies have earned him the respect and admiration of colleagues and clients. A graduate of the University of North Carolina at Chapel Hill, Paul is a longtime resident of Boston’s Back Bay and an active member of several organizations, including the Ellis Neighborhood Association, the Back Bay Association, The University Club and the Boston Athenaeum.